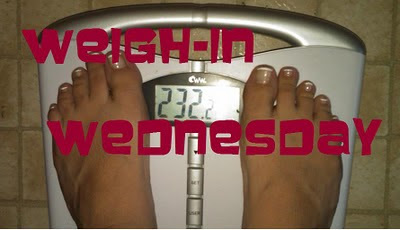 What are the odds that today's weight and the picture of the Weigh In Wednesday are the same thing. But if you notice I did not use the same picture...notice the toe nails are different. I am so happy to report that today I did get a loss this week. 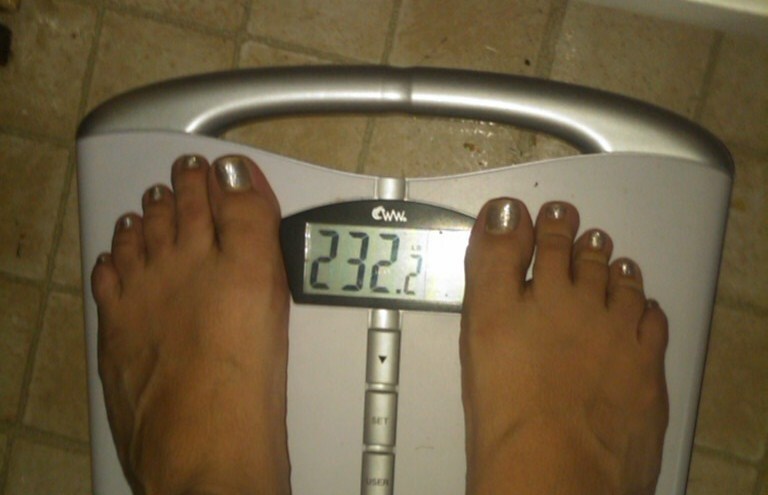 I was beginning to be discouraged after 3 weeks with a gain. I am now 8 pounds away from the 100lb mark and still pushing towards it more than ever. No one else has sent me a weight this morning...and I don't know why. They probably think it is Tuesday like I did. If one of the girls hadn't reminded me this morning I wouldn't have weighed either. Side note: I also forgot to call my Bro-In-Law for his birthday because I thought it was tomorrow. If they send it in I will update! Oops, you are right, I forgot. I will weigh tomorrow - weigh to go!